YOUR SOURCE FOR THE BEST DEALS IN THE EAST VALLEY! Specializing in Gilbert, Mesa, Chandler, Queen Creek, Apache Junction, Gold Canyon, and San Tan Valley. Welcome to the best source for locating a great deal on your next home. Here you will find FREE lists of Featured Homes for Sale, information on the best Phoenix area Luxury Homes at Distressed Prices and use my expertise on how to buy a home for LESS! In today's competitive real estate market, timing is everything. Many good homes are sold as soon they are ever advertised. 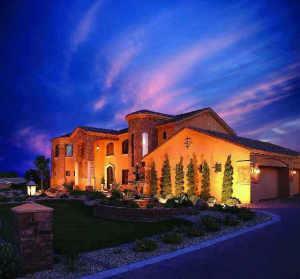 Beat other homebuyers to the hottest new homes for sale in the area with my VIP Home Buyer program. In addition, if you have any general questions about buying or selling real estate in the East Valley cities of Chandler, Mesa, Gilbert, Queen Creeek, San Tan Valley, and Apache Junction then please contact me as I'm more than willing to help. I hope you find this site useful, however no web site can substitute talking with an expert voice to voice, so should you have any questions when you are ready, then Contact Me directly.